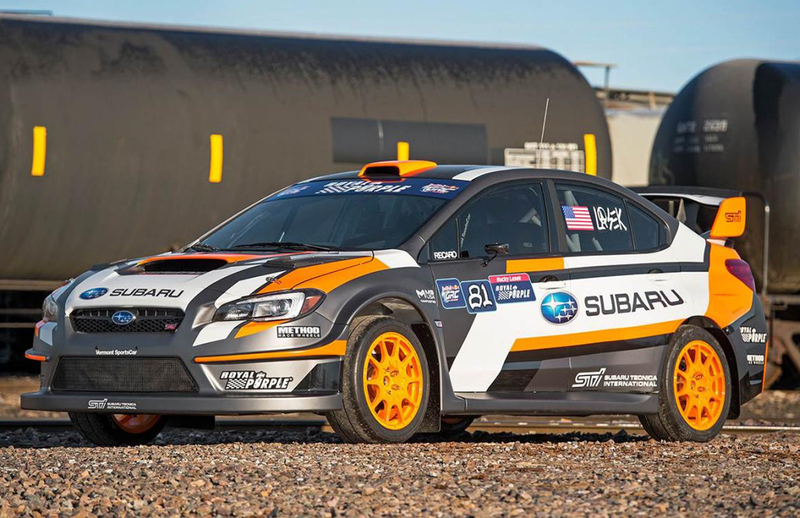 2015 WRX STI rallycross car has been unveiled by Subaru ahead of its premiere at New York Auto Show. This dynamic model looks all set to race in X Games Rallycross and Red Bull Global Rallycross. Vermont SportsCar has created this masterpiece that combines height of performance with just the perfect looks for a sportscar. This model is called VT15x. The 2015 WRX STI rallycross car runs on a mighty 2.0-liter Boxer unit. It churns out a massive 580 bhp and is accompanied by an equally efficient SADEV six-speed sequential transmission. The car is an all-wheel drive. It is super fast and takes just 2 seconds to sprint from a standstill to 60 mph. Subaru is maintaining suspense on the specs of this new launch. But what they have revealed is that the car has widebody kit. Extreme performance is ensured with high-quality race wheels by METHOD. The car flaunts enhanced aerodynamics and a suspension geometry that has been revised. Also, weight distribution and center-of-gravity have been optimized. For the third time, Subaru has partnered with Vermont SportsCar for creating STI-based Rallycross. The Principal Lance Smith of Vermont SportsCar Team says that they have made significant strides in competitiveness and durability in the last season. VT15x is a very new technology and it not merely an evolution- it is in fact a revolution. He says that chassis is the very foundation of a cool racecar. The car makers have used 2015 WRX STI to bring about improvements in cornering as well as handling in both the cars- rallycross and stage rally. These developments are a testament to the advancements in design. Subaru Rally Team USA enjoyed terrific boost in performance during the last season. It took five Red Bull GRC podiums – that included Silver Medal at X Games as well as a grand win for the celebrated driver Sverre Isachsen at GRC Seattle round.